NSB Niederelbe Schiffahrtsgesellschaft mbH & Co. KG (REEDEREI NSB) has chosen Marlink to supply fully managed VSAT services including connectivity and an extensive business critical solutions roll-out for its entire fleet of 50+ vessels. The contract, signed early in July, positions Marlink as NSB’s primary provider of voice and connectivity services, supporting the leading German shipping company to continue improving its crew welfare and operational communication facilities with fully integrated services and solutions. In addition to the management of container ships, tankers, bulkers and offshore jack-up vessels, REEDEREI NSB, Member of NSB GROUP, is active in crewing of its own ships as well as vessels of other parties. At the headquarter of REEDEREI NSB in Buxtehude and members of NSB GROUP in China, Korea and the Philippines, NSB GROUP employs approximately 230 people, and a total of 1,700 seafarers; making crew welfare a vital component of its HR and operational strategy. With Marlink VSAT and the XChange communications management system on board all vessels, REEDEREI NSB will enhance its crew communication offering, providing more bandwidth for seafarers to stay in touch by phone, social media or messaging services. With a 5GB data allowance per vessel, REEDEREI NSB’s crew members will experience more available Internet access and a faster, smoother online experience, in part due to the new doubled burst rate that Marlink recently introduced across its data allowance plans portfolio. 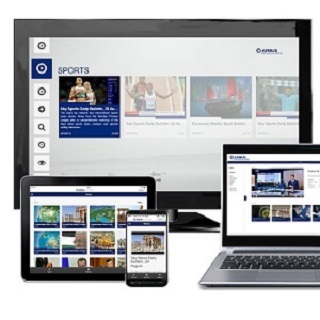 REEDEREI NSB crews will be among the first users of the XChange Media service, a new Marlink crew-focused solution designed to deliver the best in news, sports and entertainment television content. REEDEREI NSB will also trial Marlink’s brand new telemedicine service, which has been designed to support the medical welfare of crew members at sea by providing access to medical expertise through connectivity and multi-media channels. While crew are the primary beneficiaries of the move to Marlink VSAT, REEDEREI NSB will also experience greater access to business critical applications to support vessel and fleet efficiency. Machine-to-Machine (M2M), electronic document handling and e-Navigation applications will all see improvements on Marlink’s global VSAT network, while the new levels of connectivity will enable fuel monitoring applications that can provide bunkering savings, in addition to reducing REEDEREI NSB’s environmental footprint. 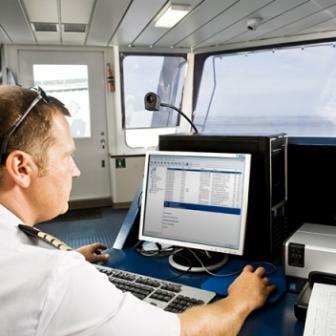 Marlink’s XChange system will be used to manage vessel communication services i.e., crew accounts, billing and satellite networks. REEDEREI NSB will also use the unique XChange Universal Remote Access system, which provides a secure single point of access to vessel networks in order to significantly reduce IT spending through remote, pro-active maintenance and troubleshooting. Additionally, REEDEREI NSB vessel email systems will be migrated to the sophisticated SkyFile Mail, Marlink’s established maritime specific email solution, which is already in use aboard thousands of vessels worldwide. “Marlink’s comprehensive proposition goes way beyond connectivity, enabling us to enhance our crew welfare services while securing operational efficiency and business sustainability using an integrated package of solutions. Our vessels already provide a comfortable environment for crew members to work and live in, but it is important for us to continue to meet the changing requirements of our people. Marlink is helping us to do this,” said Tim Ponath, Managing Director of REEDEREI NSB. “With Sealink VSAT and the XChange system, REEDEREI NSB crews can enjoy more availability of voice and Internet services and access to recent innovations including telemedicine and XChange Media. Together these services support job satisfaction on board, enabling REEDEREI NSB to recruit and retain the best people in order to deliver the best service to its customers,” said Tore Morten Olsen, President maritime, Marlink.